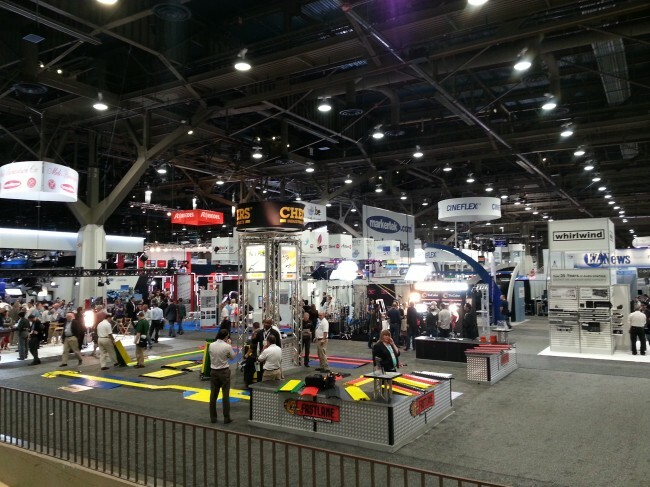 The NAB Show, the biggest tradeshow for film and television production got underway in Las Vegas last week and the overall grandeur of the event did not suggest any problems the industry might be experiencing. Some manufacturers, such as Canon and Sony, dominated the Central Hall with booths the size of football fields. Other exhibitors, while present, showed a maybe more subdued image, slightly more indicative of the current economic climate. Media M8 joined other Ventura and Santa Barbara video production professionals in networking and marveling at the possibilities new technology brings to the creative process. One booth with incredible energy and confidence was micro camera manufacturer GoPro, showing off its Hero3 Black edition camera, which can shoot HD video content up to 120 frames per second. The camera can be controlled through a smartphone, which is also the only place you can actually see a preview of the image you are filming or photographing as the camera is so small that there is just no space for a LCD preview display or a viewfinder. The price of the camera ($399 Retail) makes it affordable enough for the tech savvy action sports enthusiast, while not making it a mortgage crushing experience should the camera suffer damage during a hair-raising stunt. 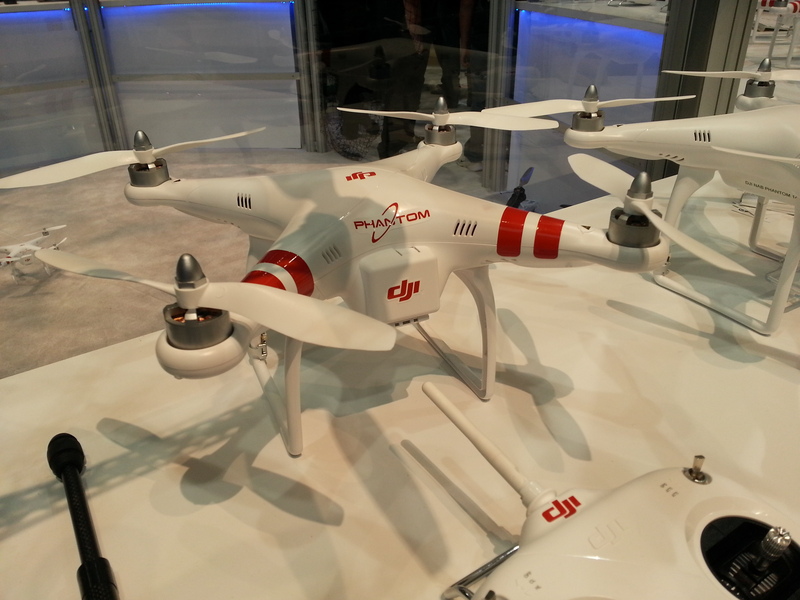 DJI Quadcopter with mounted GoPro camera. Should this not be enough for the aspiring filmmaker, a remote control helicopter rig for the camera allows to record aerial shots otherwise reserved for big budget Hollywood productions. The DJI quadcopter rig is small but easy to control and potentially more stable than a single rotor remote control helicopter. At a prize point that will place it under countless Christmas trees, we will likely have to get used to this little drones above us. Read a review by the Pro Video Coalition. Google CEO Eric Schmidt commented recently on small drones potentially spying on neighbors and while he didn’t explicitly mention this rig by name, in the wrong hands this device could do it. At some point, the FAA might start regulating this kind of device. Another selling point of the GoPro system is that you can control up to 50 cameras with one remote control and thus capture a specific action from many different angles. The company showed this very effectively with a skateboarder jumping over a NYC taxi cab by capturing the jump from every conceivable angle. At NAB, GoPro managed to – literally – make noise, by raffling cameras and gear to those present at a specific time. Attendees were invited to express their excitement about the company in lout chants of “GoPro, GoPro, GoPro!” The Las Vegas Convention Center halls are significantly larger than even a large big box store, but you couldn’t have missed the chant in the Central Hall.